First, the Bikamper is extremely lightweight—the specs list the tent at 2 lbs 15 ounces (1.3 kilograms) but it feels lighter than that. Second, the Bikamper is very easy and fast to set up. On our first try, without really reading the instructions, we were able to set it up in around 8 minutes. The second time it took us a few seconds over four minutes. 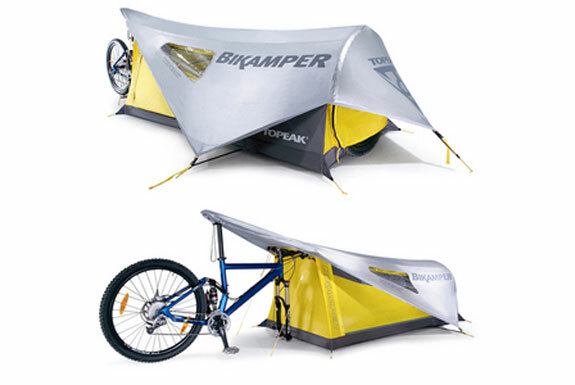 Unlike most normal camping tents, the Bikamper is even easier and faster to properly pack away. This ease-of-use, along with its light weight, is thanks to an ingenious design that incorporates the bicycle into the tent’s structure. 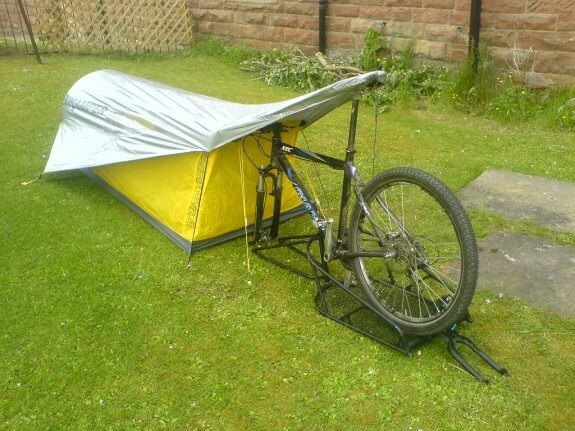 Instead of using tent poles, your bicycle’s frame holds up one end of the tent and the front wheel (removed from the bicycle) holds up the other. The Bikamper does come with a few downsides. 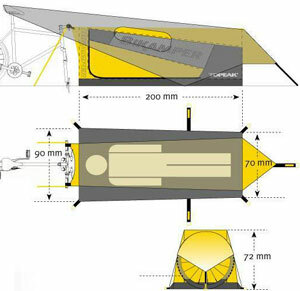 The inside is rather cramped (and if you are over 6′ 5″, or 1.9 meters, tall you can forget being able to lay flat inside the Bikamper altogether). And there’s no vestibule, so your belongings will either sit out in the open or you’ll need a tarp to cover them up. Still, if you want a super lightweight and low-profile tent for your next bike trip, there nothing cooler than the Bikamper.